1812. Cork. 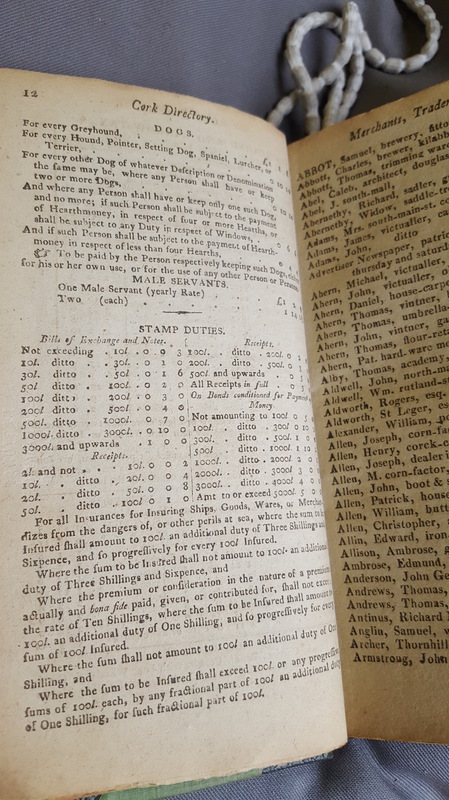 Rates of Tax on Hearts and Windows, Greyhounds at £1 per annum, Miscellaneous Dogs (Hounds, Pointers, Setting Dog, Spaniel, Lurcher, Terrier), at 10 shillings, Male Servants. Lodgers, Horses, Geldings, Mares, Mules, Carriages, Coaches, Berlins, Chariots, Galashes with 4 Wheels and Two Horse Carriages with 2 Wheels. Michael Sullivan/O’Sullivan, Hurrig Sept of O’Sullivans, Bantry, Heart Tax Collector, Alleged Descendant of O’Sullivan Bere. 1812. Cork. 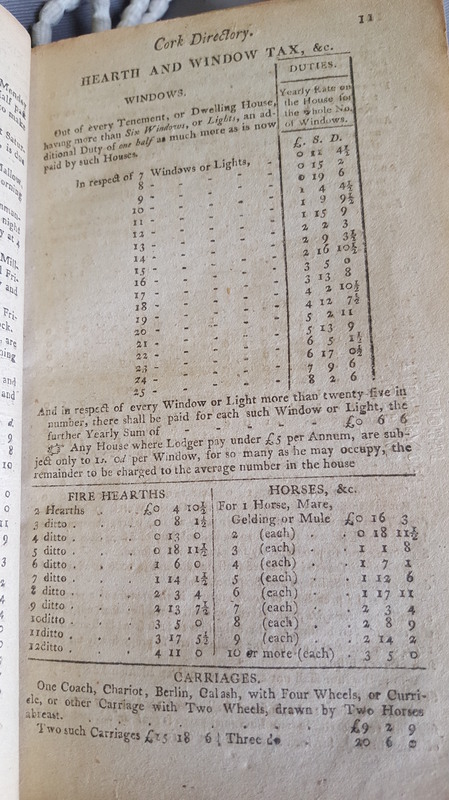 Rates of Tax on Hearts and Windows, Greyhounds at £1 per annum, Miscellaneous Dogs (Hounds, Pointers, Setting Dog, Spaniel, Lurcher, Terrier), at 10 shillings, Male Servants. Lodgers, Horses, Geldings, Mares, Mules, Carriages, Coaches, Berlins, Chariots, Galashes with 4 Wheels and Two Horse Carriages with 2 Wheels. Michael Sullivan/O’Sullivan, Hurrig, Bantry, Heart Tax Collector, Alleged Descendant of O’Sullivan Bere. The heart tax records of the 18th century were kept in rolls. Not only did they record by townland those who paid but those exempt by virue of not having windows or hearths. The vast bulk were destroyed in the Public Record Office in 1922. The high rate of duty on greyhounds may suggest their status. roman Empire records refer to exports of greyhounds from Ireland. In Durrus the O’Donovan landlord family were involved in dogs, maintaining kennels. 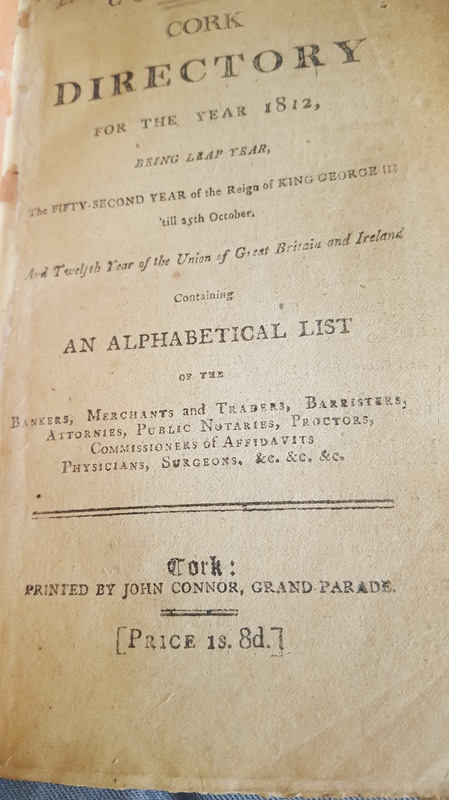 In the correspondence between Dr. John O’Donovan, (Graves Collection, Royal Irish Academy) the antiquarian and Timothy O’Donovan, Magistrate the merits of the Irish greyhound are debated. Some years later across Dunmanus Bay, an Evanson descendant Morris of Ardgoena House ran coursing. Michael Sullivan (sometimes he signed as O’Sullivan)various;y described as heart tax collector with significant property interests. A Catholic strictly speaking he could not be a heart tax collector perhaps had a Protestant nominee. for the probably later cess tax the baronial Constables for Bantry adn Bere were also O’Sullivans. Through his 1777 marriage to Mary Vickery of Whiddy Island there is an enormous world wide family.